In 1998, Brenna began studying with several yoga masters, and in 2002 she met her teacher, Yogarupa Rod Stryker of ParaYoga and was initiated into the lineage of Sri Vidya. 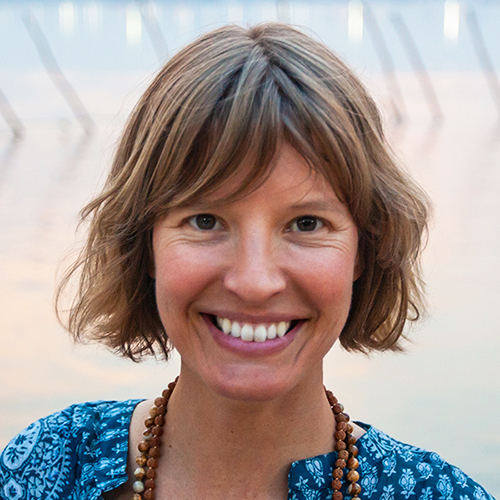 Brenna is the Co-Director of Sri Yoga Teacher Trainings and Retreats and is a ParaYoga Certified Instructor. Brenna loves to get real with people because she insists on getting real with herself every day. Brenna believes that we are all here not only to get through life but also to find out how to thrive. Every person's thriving will look different, and Brenna encourages students of yoga and meditation to go deeper and deeper, and deeper still until they are satisfied Brenna teaches yoga as an energy management system and in every class, workshop, training, or retreat, students walk away with richer tools to help themselves experience more joy and spaciousness, less fear and tension, and an ability to get intimate with their life purpose. Her classes are a masterful alchemy of clear alignment cues for the body and breath that draw each student to a remembrance of their Sri, ­their brightest, fiery heart and soul. Moving to San Francisco in 2009, Brenna was invited by master and luminary teacher, Jean Mazzei, to co-direct their own teacher training program, Sri Yoga. Brenna and Jean of Sri Yoga have trained hundreds of teachers since then and continue to offer these transformational trainings and retreats in California and around the U.S. Currently, Brenna teaches weekly and monthly yoga, meditation, and yoga nidra classes in San Francisco, as well as Sri Yoga retreats and trainings. Come find out why students think she has the best Savasanas in the city. Practice with Brenna in person at Yoga Tree in San Francisco and online at Yoga Vibes.